Padraig Harrington will celebrate Christmas with the gift-wrapped 2020 European Team captaincy. 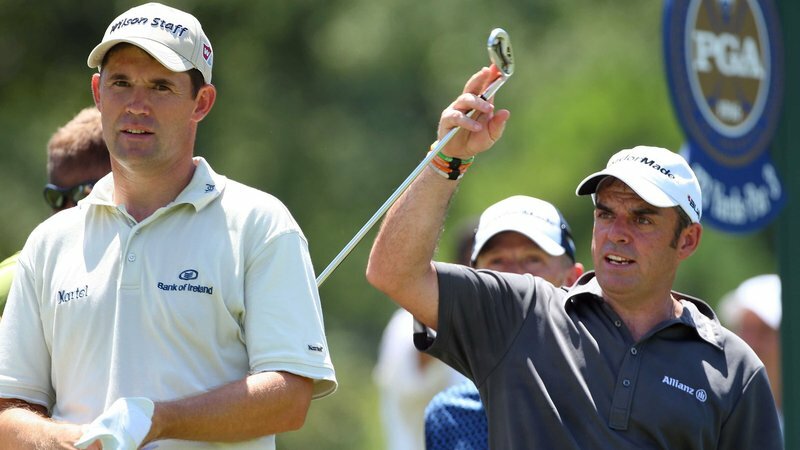 That is how it is shaping-up in the absence of any other Whistling Straits contender says Paul McGinley. The past three European Team captains in McGinley, Darren Clarke and victorious Versailles Thomas Bjorn along with the European Tour CEO, Keith Pelley and a representative of the Tournament Players Committee will meet early in December to consider the nominees. At this stage, there is just one Whistling Strait applicant and that is Harrington. And with McGinley and Clarke on the selection committee Ireland remarkably should have a third Irish-born Ryder Cup captain in four Ryder Cup’s. Not since Scotland’s own Bernard Gallacher was European Captain in 1991, 1993 and 1995 will one European golfing nation provide so many Team captains. McGinley said: “At this stage Padraig is the only choice as there does not seem to be any other candidate for the role in town. “So, it looks like Padraig will be the captain but then you never know as someone else may step forward. “So, it all goes well for Padraig”. McGinley’s staring at a long golfing absence after missing Saturday’s Dunhill Links third-round cut. He had missed out by one putt in sharing the lead on day one of the event at Kingsbarns Links but then went to Carnoustie to shoot a 73 ahead of going close to driving the final green at the Old Course on Saturday only to three-putt for par in a round of 75. He said: “That’s me for pretty much the year for as I won’t play in any Seniors events on until December. “I’ve still got plenty on my plate work-wise and I have a SKY commitment at the DP World in Dubai”. McGinley had played the third round in the company of USA Ryder Cup star, Tony Finau and competing in the event for a first time, and also taking to the Old Course for an initial occasion. He said: “Tony’s a great guy and we spoke about the Ryder Cup saying he really enjoyed it but then he said the whole team found the golf course incredibly difficult.